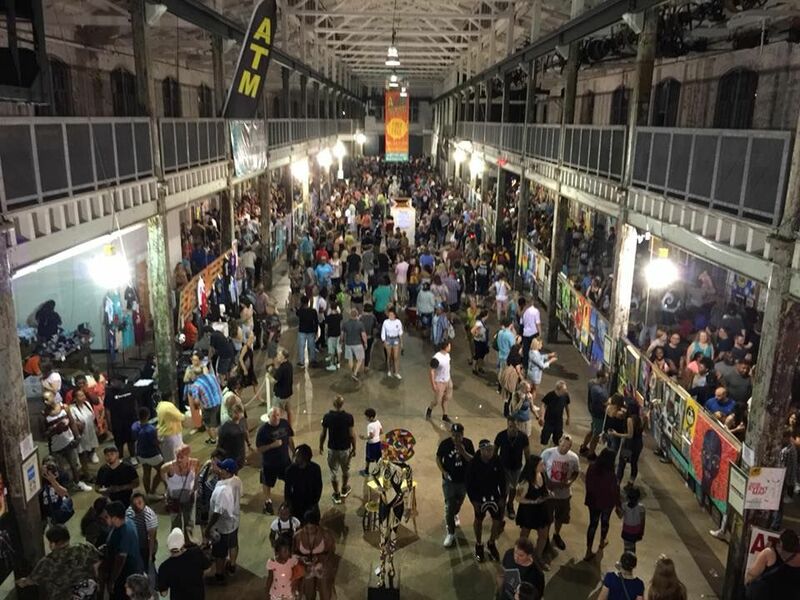 Twenty-two people were injured in a shooting that has been attributed to gang violence at a 24-hour arts festival in Trenton, New Jersey, this weekend. One of the suspected gunmen, Tahaij Wells, was believed to have been killed by police, and another suspect, Amir Armstrong, has been charged with weapons offenses, while a third is in critical condition, according to officials. The shooting happened around 2:45am Sunday morning at the Art All Night-Trenton festival, held in the historic Roebling Wire Works Building. The 12-year-old event, which welcomes submissions from professional and amateur artists and included more than 1,500 works of art, live music and graffiti mural painting, as well as a film festival, was one of many signs of the downtrodden city’s recent revival as an artistic enclave. “We’re very shocked. We’re deeply saddened. Our hearts ache and our eyes are blurry but our dedication and resolve to building a better Trenton through community, creativity and inspiration will never fade. Not tonight. Not ever,” a statement on the festival’s Facebook page reads. According to witnesses, gunshots rang out unexpectedly, causing the late-night attendees to run for cover. “And all of a sudden, my brother goes to me, ‘You hear that gunfire?’ I go, ‘It sounds like fireworks,’” Angelo Nicolo, a Trenton resident, told a local news station. “He said, ‘No, that’s gunfire.’ Next thing you know, we turn around and everybody’s running down the street. All hell broke loose.” Another festival visitor, Irving Higginbotham, was among those injured. “Everybody was having a nice time. The next thing you know, there were gunshots, [I] got shot in the leg, fell on the ground, and that was it,” he said. A dispute between neighbouring gangs had resulted in multiple shooters taking aim at each other in the middle of the festival, according to officials. “It absolutely could have been worse given the confined space and the number of shots that appeared to have been fired,” Onofri said.